A baby carrier, bottle holder and pouch for keeping your stuff, all-in-one, Eazy Sunveno Baby Carrie.. The Farlin Front-Hold Baby Cuddler has a netting designed seat that provides ventilation and is more..
Polyester Imported 2 Carrying positions: facing in and facing out Extra soft micro vented l.. 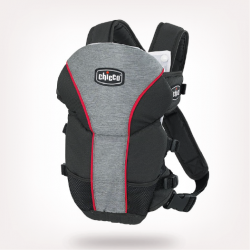 The Chicco UltraSoft™ LE is a 2-in-1 infant carrier that lets smaller babies face in towards mom/d.. THE ONLY BABY CARRIER WHICH CONSIDERS YOUR BACKBrevi Pod is a revolutionary distributed load baby ca..
Colorland introduces its range baby carriers and hip seats after extensive research and design. The .. The Brevi POD Baby and Child Carrier with revolutionary ANYFIT carrying system to protect parents ba..
Soft&Dream, the baby carrier with 3 carrying positions.Soft & Dream baby carrier follows..
Boppy ComfyFit Baby Carrier2018The Boppy ComfyFit Baby Carrier lets you keep your little one..
Berry baby carrier Go color Moon Go, dynamic and versatile baby carrier that follows the child's gro..